Kids Toys have made a lot of changes since Mom and Dad were kids. From video games, to battery powered board games, and smarter remote controlled toys, kids toys are far from the wooden blocks and plastic dolls we grew up with. Thanks to cheaper and smaller electronics coming out every day, kids toys are on the cutting edge of technology. Which of course makes us wonder what’s on the horizon? From a few super modern designs that already made it into the toybox, to the futuristic concepts, here are some of the most interesting Kids Toys of the Future. 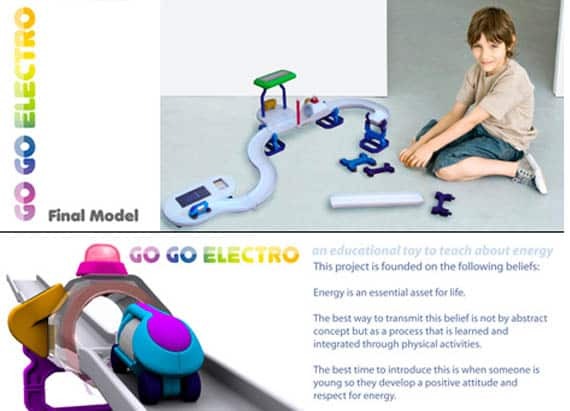 No batteries required, since Go Go Electro uses kinetic energy and solar power. The act of moving the car generates energy which is stored and used to light up the track. 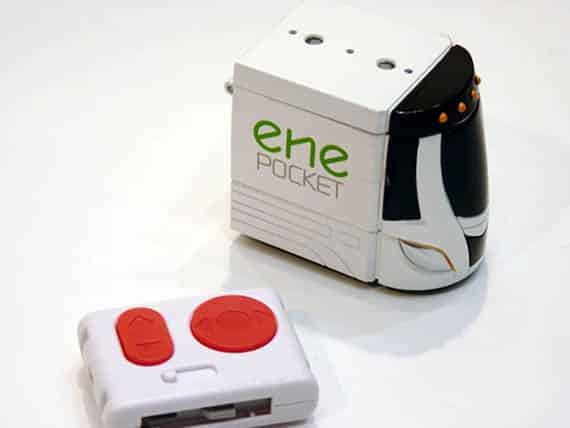 It’s a great concept toy since it teaches kids (and adults) about clean, efficient energy. 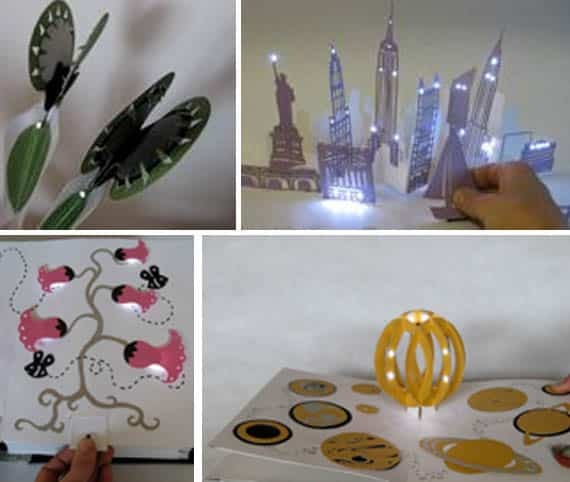 We’ve been impressed with pop-up books since we were kids ourselves, but there’s never been anything as captivating as Electronic Popables by Jie Qi. This pop-up book lights up as you interact with it, creating the most beautiful and dynamic pop-up pages ever. As you open pages, pull tabs, press pressure points and fold objects different LED lights will turn on all over the page. We really hope to see this concept to show up in more pop-up books in the near future. 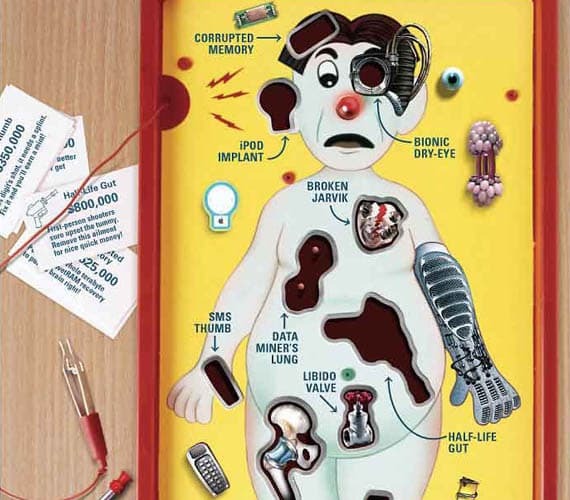 We don’t imagine we’ll ever see a cyborg version of Operation on the shelf at Toys R Us, but this concept Operation game provides a funny look into the future with bionic eyes and iPod implants. As parents, we can get behind all of these new toy concepts that don’t require batteries. For kids, the joy of getting a brand new toy is instantly crushed when you realize you don’t have any D batteries around the house. But the Horizon HydroCar, as you can guess by the name, runs entirely on water. Not only is the functionality pretty innovative, but the design itself looks like something out of the year 3000. Little aspiring artists won’t have to pick and choose which drawing goes to Grandma and which drawing goes to Auntie with the help of Scribble Bots (one is available via the link above). The example is just a concept at the moment, but the idea is that kids can connect with their friends through the Scribble Bots website and share not only their artwork but the artistic process. 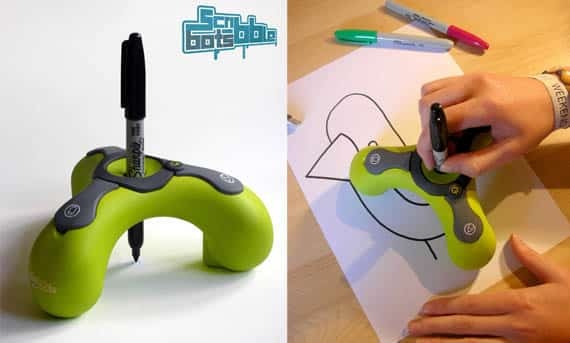 Scribble bots can record and recreate movement so anyone with a scribble bot can download your drawing and their scribble bot will draw it right before their eyes. We don’t know about you but we never got that string cup telephone to work when we were kids. 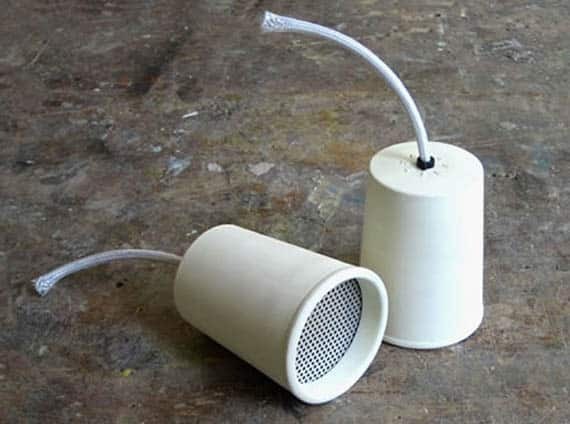 But as soon as this comes out of the design phase, kids will finally have one that works… no thanks to cup/string technology, but thanks to built-in speakers and mics. A lot of parents don’t really get gaming because they don’t see the fun in pressing a bunch of buttons. But the AFGT concept uses touch-sensitive silicon that mimics the terrain in a game, allowing the users to feel their way through. None of the major video game manufacturers are using technology quite like this, but we could see it in the future. 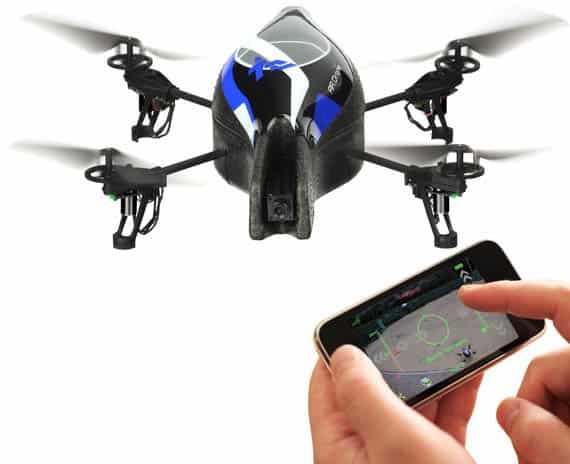 Flying helicopter toys meet handheld video games with the Parrot AR Drone Quadricopter. This isn’t just some copter that you fly around the corner and crash because you can’t see it… it has a built-in camera that lets you see everything from an iPhone. And of course, because those little joysticks are so outdated, it uses tilt controls, tilting the AR Drone as you tilt the iPhone. Admittedly, since it requires an (expensive) iPhone to control it, this is a toy for older kids… like Dad. Drones with cameras will take spying toys to a whole new level! One of the most memorable toy crazes ever gets a modern upgrade. USB Pet Rock does exactly what the original pet rock did, except now it connects to a computer! It started off as an April Fool’s day joke on Think Geek but became a hit just like the original so they decided to sell them. Remote controls are a thing of the past. Toys of the future use mind control! 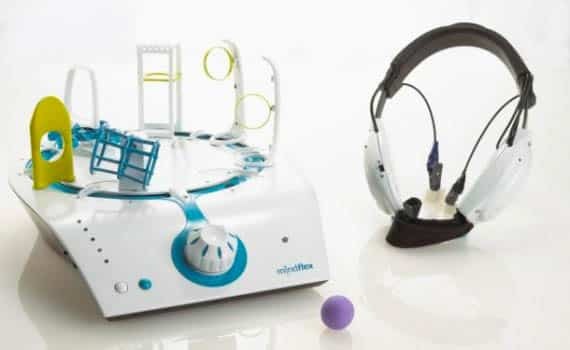 Mindflex is a telekinetic obstacle course that uses brainwave activity to move a ball. We’re not really sure how it works, but we like to believe it’s because we have sci-fi like psychic powers. We’re honestly surprised that LEGO never came up with this themselves. A concept by Jin Woo Han, Interactive LEGOs uses an interactive board that would create a conversation based on where a LEGO man toy is placed, and which characters are present. In this example using the Simpsons, even objects like a TV would cause the characters to comment on what they’re watching. 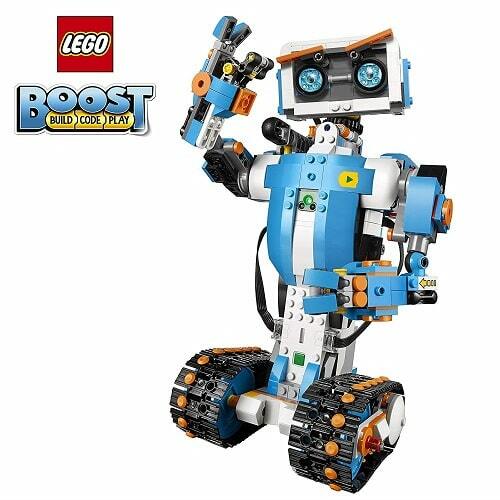 Alternative why not try a LEGO Boost Robot to take your sets to the next level. Another old-school toy getting a cool modern upgrade, etch-a-sketch has gone 3D. 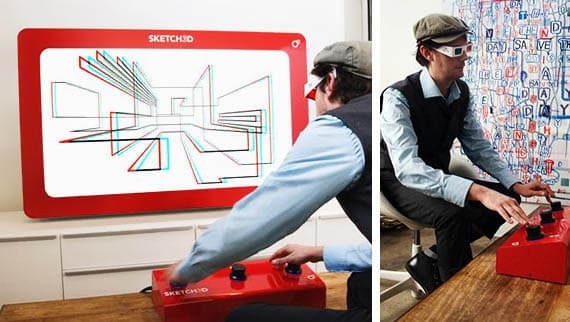 Sketch3D is a lot like etch-a-sketch, but includes a third dial that controls depth. Connect it to a computer or TV screen and create 3D artwork. The next step? We’re thinking holographic etch-a-sketch. This strange looking R/C car doesn’t run on batteries or even water… it runs on juice and soda, which let’s face it, if you’re out at the park or a picnic, you probably have more of those things than water anyway. Still in the prototype phase, the creators say that grape juice and cola work the best. It’s an interesting idea, but sounds like an outside toy since it’s bound to be sticky. I need scribble bot .Please guide me and let me know the price.